Many women desire to have long, full and curling eyelashes. Because of this, they constantly check their beauty shops or the Internet for eyelash growth products that may work on them. Unfortunately, because there are a lot of eyelash products being sold on the cosmetics market today, finding the best eyelash growth product can be a daunting procedure of trial and error. Thankfully, both beauty and health experts have come up with criteria by which all women can determine the effectiveness of a product. These criteria are the same ones being used by most of the leading eyelash growth product review sites on the Internet today. 1. Check out the company's credentials- It is also important to do some research on the company's credentials and reputation. Trustworthy companies are those that have been in the business for ten years or more. Many women would not want to buy from companies who use animals to test their products on. Determine the level of customer satisfaction. Do they consistently get rave reviews? What about unhappy customers? The company should be open to answering complaints and, most especially, giving money back guarantees. 2. Ingredients of the product- Since you will be using the eyelash enhancer on your body, specifically your eyelids, you should determine what are the ingredients contained in the product. All cosmetic and pharmaceutical companies are required by law to list down all the ingredients on the label of the product and on their websites. You should particularly check out the active ingredients since these are the substances which will directly have an effect on your eyelashes. 3. Determine product safety - Go the extra mile of researching the product ingredients to find out if they can cause any side effects. Prescription products like Latisse have been known to cause a number of side effects ranging from eye irritation to eye color change. This is why Latisse use should be monitored by a doctor. Most non-prescription eyelash growth products are all-natural, so that they don't produce any side effects. There will be some stinging or irritation if the eyelash enhancer includes such irritants as salt and benzalkonium chloride. If you are allergic to certain substances, make sure that the product does not contain any of them. 4. Achieving desired results - All cosmetic companies are required to conduct clinical trials to determine if their product is effective or not. Most of these companies have their own labs and researchers who can test the product and then release the results to the public. When it comes to eyelash growth products, women want to know when they can expect to see results. 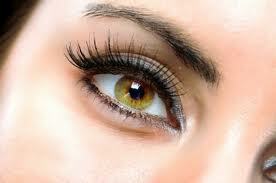 On average, eyelash growth in most products guarantee results in as short as 2 weeks to as long as 8 weeks. The length of time that these beneficial effects are expected to last varies per product. Some women observed their eyelashes going back to their previous state after discontinuing product use. 5. Determining Product Value- With the high cost of living nowadays, women would naturally want to get their money's worth. Thankfully, there are a number of effective eyelash growth enhancers that are below the $100 range. Good examples of these are Idol Lash and Revitalash, although Idol Lash is currently the more popular brand. You should also check out if the product comes with a money back guarantee in case you are dissatisfied with the results. On average, cosmetic companies provide a 90 day money back guarantee for their products. Determine other criteria by which you can select the best eyelash growth product for you today! You can check out http://www.eyelashgrowthproductreviews.net/ for other product reviews.